16th August is release day for A TASTE OF SEDUCTION book #5 in my Disgraced Lords series. 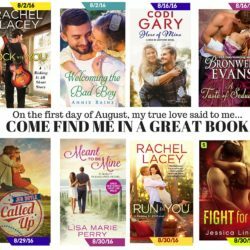 I’m so happy to be in the great company of some amazing authors who all have new books coming out in August. Rachel Lacey, Jessica Linden, and Lisa Marie Perry are all beginning new series, while Jen Doyle Ink, Codi Gary, Annie Rains and myself have new installments in currently running series.